The long languorous days of summer offer an opportunity like no other time of the year. The many day-lit hours present the possibility of intense growth and busy activity while warm sultry temperatures slow us down and beg us to take a siesta. We shed layers of clothes and amplify under the warming glow of the California sunshine. During summer humans are capable of both concentrated production and aimless wandering. We work and play. Our gardens bolt and need tending, but paradoxically we stand back and let the plants do their thing. A juxtaposition of vibrating energy and slow relaxation. Similarly seeds, having sprouted only a few months earlier, take full advantage of this season. Roots spread wide and deep and stems reach out and upward. Both ends of the plant wander to find new sustenance. Fresh leaves unfurl and drink in sunlit energy, converting it into oxygen and energy. This energy then transforms into the production of flowers– flowers that eventually wilt in order to transfer their energy toward the development of seeds. Seeds, carrying genetic information acquired over millennia, are ready to manifest into the blossoming of summer flowers once more. With astonishing beauty and efficiency, angiosperms (flowering vascular plants) grow flowers for the sole purpose of reproduction. Sepals protect the bud until the petals are ready to open. 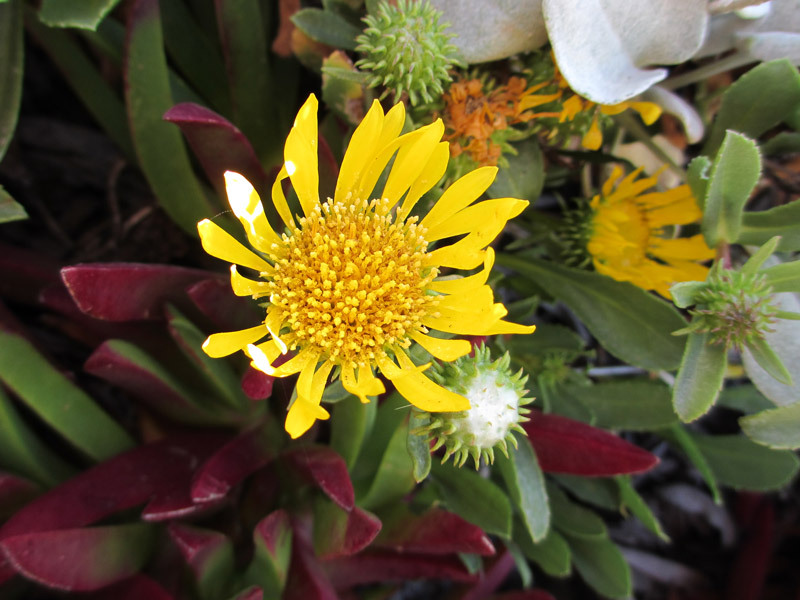 The petals invite pollinators toward their reproductive organs with bright colors and pollinator guides. Though adaptive selection has diversified flowers into a plethora of shapes, sizes, and colors to aid in reproduction, for simplicity sake, let’s just take a complete flower: the California poppy (Eschscholzia californica) is an example. Complete flowers contain both the female carpel (pistil) and the male stamen within one blossom. The carpel is often broken down into three separate parts: the sticky stigma; which receives pollen; the style– a long tube that connects the stigma to the ovary; and the ovary. Within the ovary are the ovule and the embryo sac that holds one to many eggs. 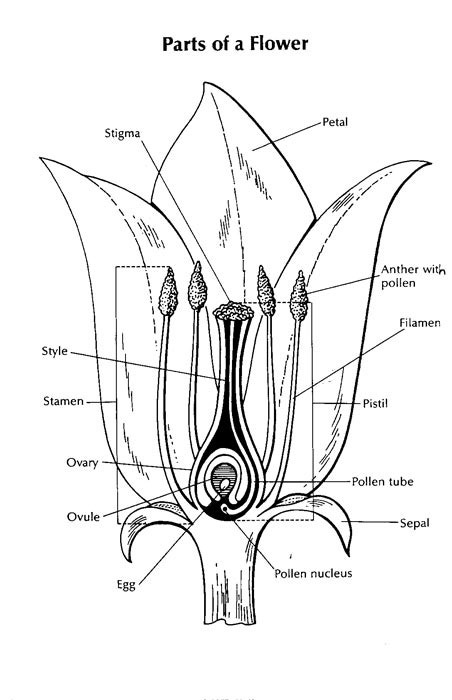 The stamen is comprised of two parts: the anther that produces pollen and a long thin filament, which positions the anther for available pollination activity. Upon blossoming the flower opens for pollination. Certainly the birds and the bees indulge in this summer love, but so do moths, butterflies, bats, and flies and even winds and waters contribute to the essential process of pollination. 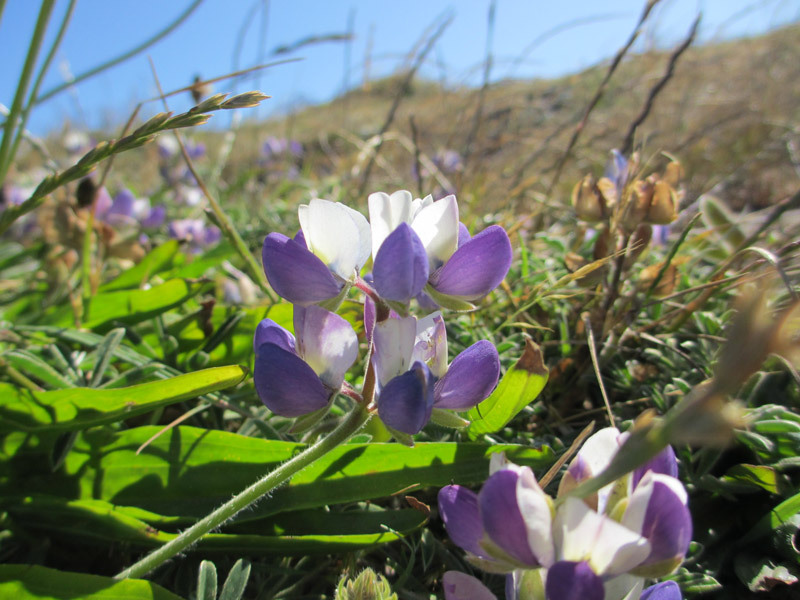 Some flowers even self-pollinate, but this system has limits as it hinders genetic diversity. However it gets there, when a living grain of pollen successfully transfers from anther to a suitable stigma, it absorbs water and develops . This pollen grain produces a pollen tube, which grows along the length of the style and toward the ovary. Also during this process , two sperm are formed. When the tip of the pollen tube reaches the ovary, the two sperm are released into the embryo sac. Ideally sperm joins with egg and fertilization occurs. The number of eggs fertilized within an ovule depends on the plant species. And Voila! A seed (or zygote) is born! The ovule undergoes significant changes as it develops into a seed. The first stage is the division of the zygote, the early form of a seed embryo. As zygotic cells begin to divide, suspensor cells grow and anchor the newly formed embryo to the parent plant. Nutrients from the parent plant travel through these cells to the embryo. During this time cotyledons or seed leaves also begin to develop. 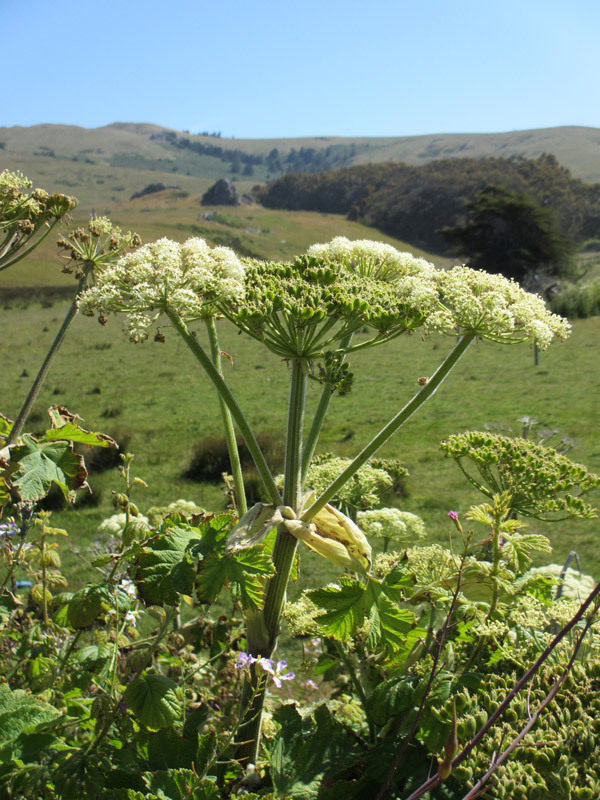 After this, the shoot apex forms which contains the shoot tip or apical meristem. Opposite the shoot apex is the root apex, which carries the apical meristem for roots. Both these apical meristems are crucial and responsible for shoot and root growth during seed germination and throughout the plant’s life. In the last stage of seed development, the seed dehydrates and enters dormancy. In this stage the embryo and its nutrient supply are protected by a seed coat. Also, while the seed is growing within the ovule, the endosperm forms. This structure provides nutrients to the embryonic seeds during gestation. It also stores proteins, oils, and starches, which will later be used by seedlings after germination. Again, endosperm development and usage varies amongst plant species. Under the glowing sun of long summer days, the ovary surrounding the ovule- now containing the seed and endosperm- swells and grows into a fruiting body. While delicious and sought after by numerous animals including humans, fruit also serves an essential purpose. It protects seeds from damage and assists in seed dispersal. Fruiting bodies allow seeds to join in summer activities. The fruit undergoes prodigious intense growth and productivity while remaining on the plant for a siesta soak of long warm seasonal sun. Perhaps we are not so separate from the plants? Meghan Walla-Murphy, with BA in both biology and Japanese history as well as a MFA in creative non-fiction writing, is currently an environmental and education consultant in Northern California. She has spent the last decade delving deeply into environmental studies and natural history, traveling the United States, Africa, Brazil, and China to expand her knowledge base. Meghan is co-author with James Halfpenny’s on the book, “Track Plates for Mammals.” In addition she is a freelance writer for several local Los Angeles papers. This entry was posted in Miscellaneous, Propagation. Bookmark the permalink.